The Destiny is our most advanced frame design. Featuring oversized, seamless, optimised diamond sided and shaped double butted down tube and BB30 or PF30 bottom bracket standard in a sloping/ compact geometry. We are proud to state that SOUL Bikes is the first Asia based company to have designed and manufactured a seamless diamond shaped hydroformed titanium downtube used in the Destiny. The frame is designed and built with 1 thing in mind: speed. Each tube is manipulated , formed and welded to create a frame that is light and stiff at the same time and in the right places. 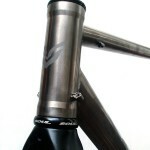 The top tube flares and is ovalised to be wider, the downtube is diamond shaped and the shape optimised for stiffness. The coldworking and forming of the seamless tube is done to also maximise torsional effectiveness. It also features asymmetrical radial oversized chainstays for additional lateral stiffness at the bottom bracket and increased reaction time when you stomp on the pedals. Overall, the outcome is an exceptionally stiff frame at the bottom bracket and headtube for minimal flex and precise steering at high speeds. 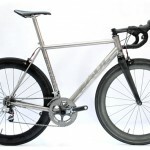 Straight seatstays are introduced to increase rear end stiffness and eliminate the bouncy feeling associated with most titanium frames.They are butted and tapered to reduce road buzz and weight. Even the dropout is CNCed to reduce weight. 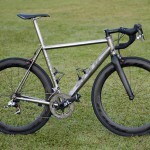 There is no better titanium frame with the stiffness and weight at this pricepoint. 6 years of tweaking and manipulating everything on this frame has yielded one of the best riding titanium frames we have personally experienced. 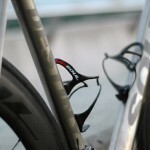 For 2013, we also have options for di2 and internal cable routing. 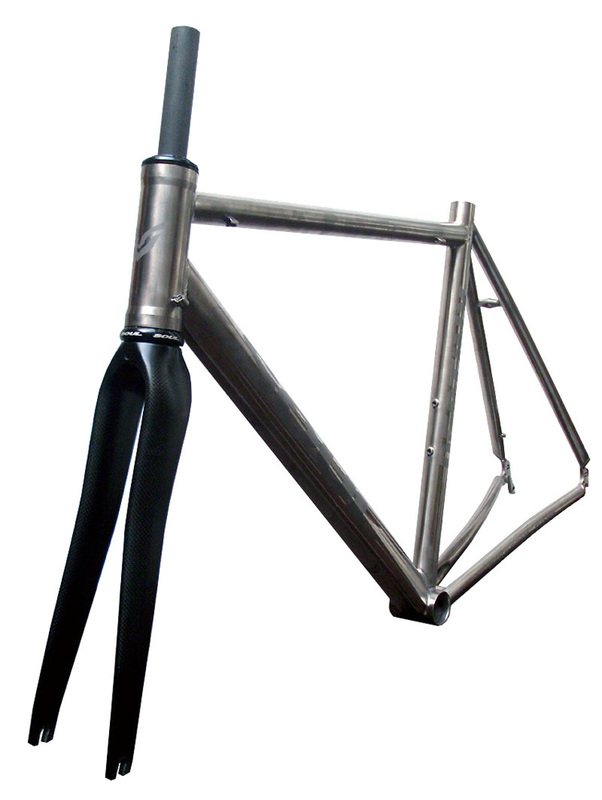 All our frames feature size specific tubing. As sizes increase so do the tube diameters. Headtube extension is optional. 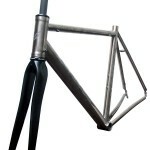 Frame finish is handbrushed. New for the year is the sandblasting of our logo on the down and seat tubes. 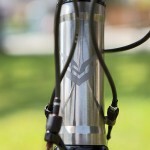 Headtube is engraved into the actual tubing to complete our Destiny. Material: 3A/2.5V Seamless Aerospace Grade Titanium, Straight Gauge rear triangle, 6A/4V Aerospace Grade Titanium double butted main triangle. 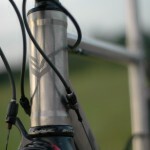 6A/4V machined dropouts, stops and bridges. BB: PF30 (adapter for standard BSA included). 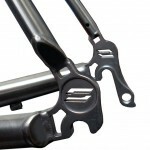 Seatclamp: 34.9mm CNC lightweight clamp included, black anodised finish. Finising: Handbrushed with logos sandblasted.